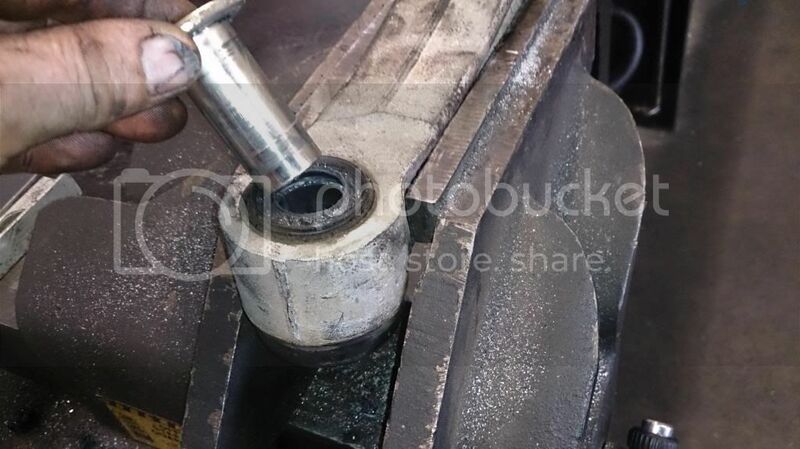 hello all here is a few pics of how i fixed the front upper arm inner bush play. factory there is a graphite impregnated plastic bush locating the inner mount of the arm. i had to make my own replacment as i could not find a replacement. 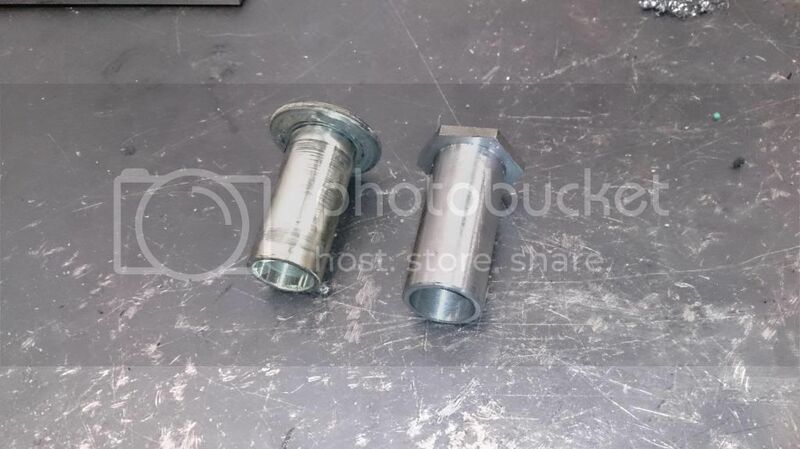 the standard steel insert is 21mm od, i reemed out the stock bush to 22mm, quickly made up a new 22mm steel insert out of some hex bar we had lying around with a 5 thou interferance fit. greased up with some superpro silicon bush grease (really thick and sticky) and happy days no more clunk when reversing uot of a parking spot when touching the brakes. Posted: Sun Aug 10, 2014 3:55 Post subject: Google Ads keep the POCUK free to join! Awesome. Thanks for sharing. Parts seem to be very rare and these tips can save allot of stress. 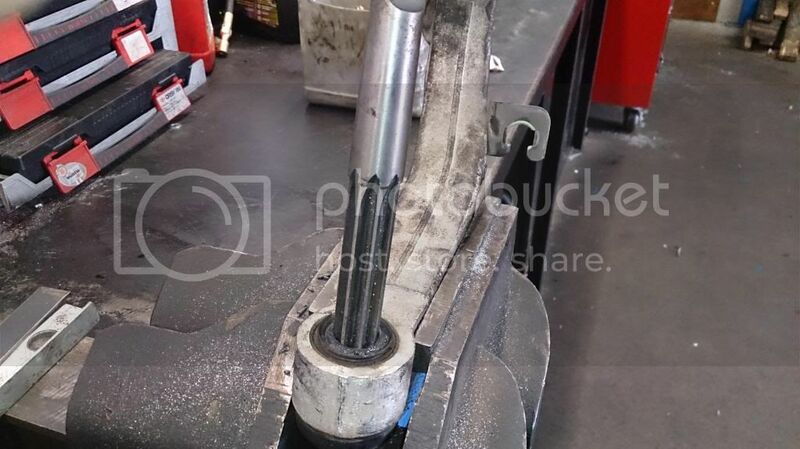 If I understood your post, you removed the plastic inner bushing at the center of the rubber bush, left the rubber bushing in place, and then made up the difference with a thicker OD metal sleeve, which now replaces the original sleeve and the plastic bushing? Thanks again! I know this post is a few years old. 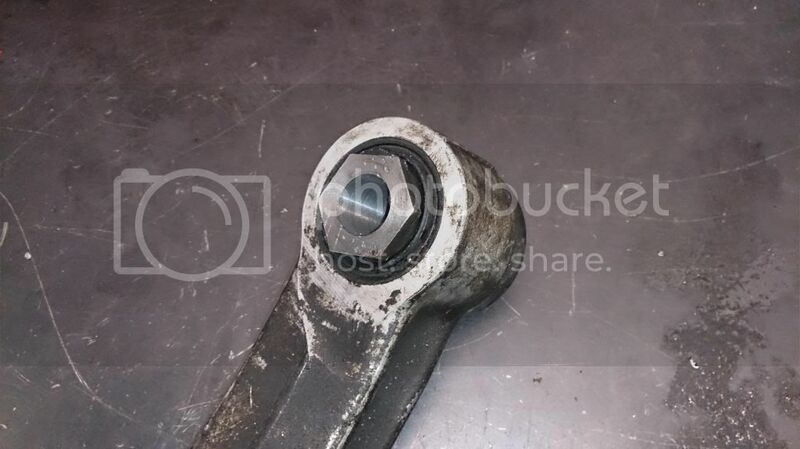 Hopefully you still check on here and can report on the longevity of your fix as well. late reply, bushes still good. drag link seems to be a weak point on the other hand..
yes, i just slid out the old sleeve, and reamed it out round till it was a nice firm fit for the new sleeve. bush stayed in the arm the whole time. Good job. Quick question, Why didnt you just replace the bush itself?